Thin Films and Butterfly Wings | VGO Inc.
What does an oil-on-water sheen have in common with a butterfly wing? 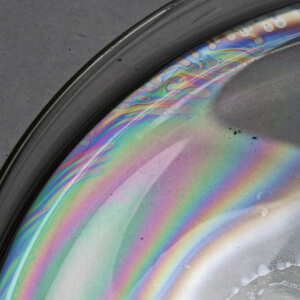 The rainbow colors visible in an oil-on-water sheen or a soap bubble, the iridescent color visible in the wings of some species of butterflies, and the colors visible on a piece of stainless steel after it’s been heated to temperatures in the range of 550 to 1100°F are the result of the interference of light. That is, as you may recall from you high school physics class, sunlight is made up of a continuum of colors (picture the last rainbow you saw). 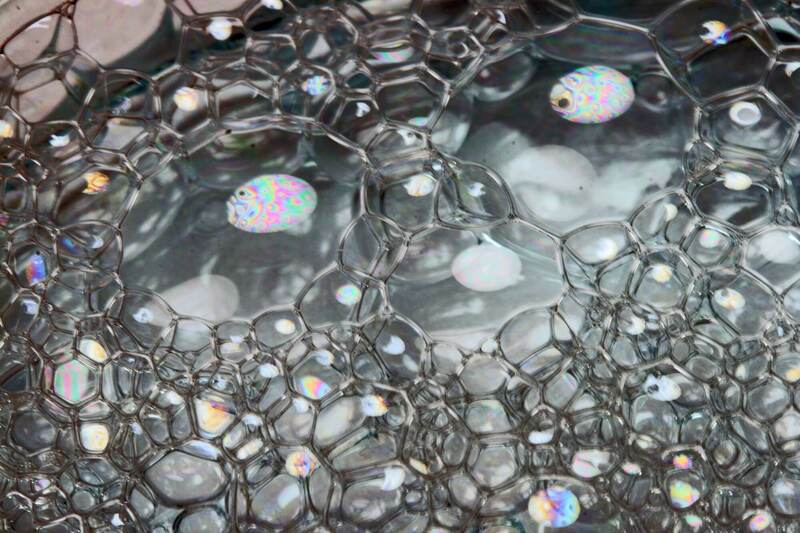 When light is incident on a thin film–such as a soap bubble or a sheen of oil or gasoline on the surface of water–a portion of the light is reflected off the front surface of the film and a portion is transmitted through the thickness of the film and reflected off the back surface. The colors you see are a result of the two reflected waves constructively—and destructively–interfering with each other—and the color you see is dependent on the thickness of the film (along with the index of refraction of the film and the angle of incidence). In particular, if the distance the light travels through the film is an even integer multiple of the wavelength of a particular color of light, the two reflected waves will be in phase with each other, thereby reinforcing each other and enhancing that color. On the other hand, if the distance the light travels through the film is an odd integer multiple of the wavelength of a particular color, the two reflected waves will be out of phase and will partially cancel each other, thereby diminishing that color. In the case of an oil or gasoline sheen on water or a soap bubble, the film is composed of a very thin layer of liquid (i.e., the oil/gasoline or soap). 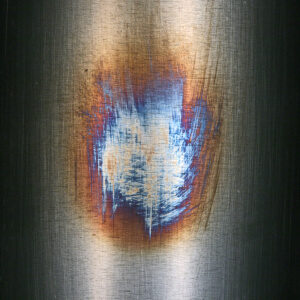 In the case of heat tint colors on a piece of stainless steel, the film is composed of an oxide layer—the thickness of which depends on the temperature to which the steel was heated, along with the time that it’s been held at temperature. 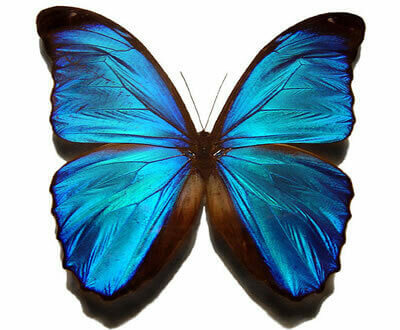 The iridescent colors on a butterfly wing are created by the same phenomenon but a different means. That is, the iridescent colors on a butterfly wing are again created by the interference of light, but rather than being caused by a distinct layer of film, they are the result of the fine, microscopic structure of the wing itself. That is, the wings of butterflies are comprised of a colorless translucent membrane covered by a layer of scales. (The taxonomic order of Lepidoptra, to which butterflies belong, is derived from the Greek words for “scale” and “wing”.) 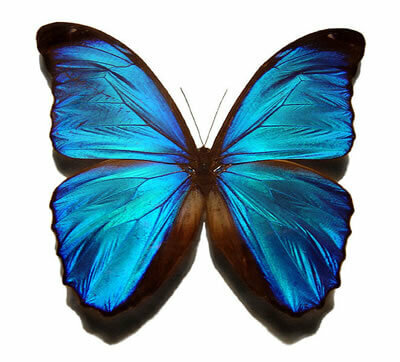 In the case of the blue Morpho butterfly shown in the photo, the spacing of ridges on the scales is at just the right distance to cause constructive interference of light in the blue portion of the color spectrum when the light strikes—and is reflected—from the wing. 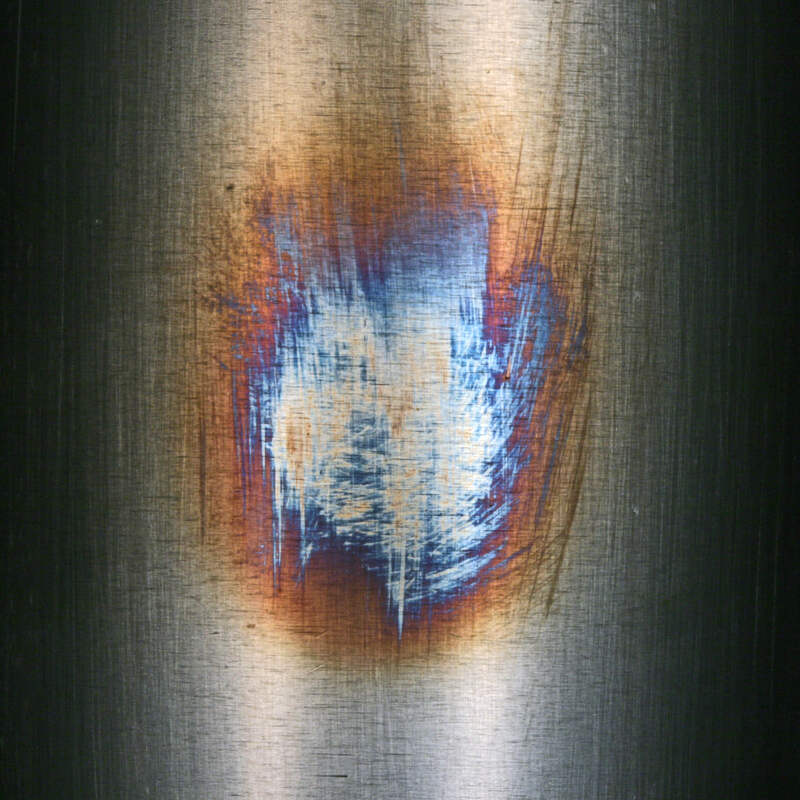 Why are some stainless steels magnetic?